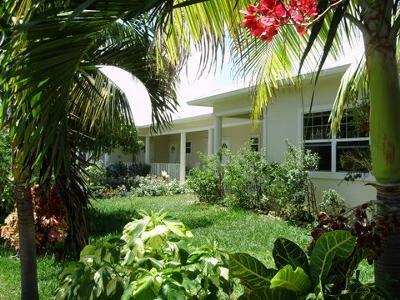 The Retreat at Lookout is the very first Agritourism hotel in Grand Cayman perched on 20 acres of Caribbean plantation. Even though it has rural surroundings, the elegant property caters to the topside explorer. Find even more adventures away from the beaches and encounter genuine Caribbean friendliness and hospitality. Walk through sugar cane and fruit orchards travelers become intimate with Grand Cayman. Betty and Harvey Stephenson, are locals who own the Retreat. With their wealth of knowledge of the island you can get personal info on Grand Cayman's arts and culture. Tantalize your palate for an unforgettable experience. Farm fresh fruits and vegetables are used to enhance your breakfast. Affordable rates start at $99 USD per night include a full Caribbean breakfast, divers can have the best of both the undersea world and the lush, natural island! Car rental packages are also readily available.